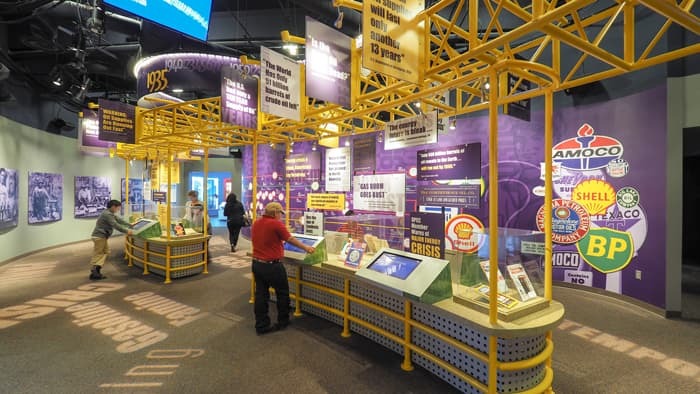 In collaboration with one of the world’s leading exhibit design firms Jack Rouse Associates (JRA), Mood Media’s brand content media studio, GoConvergence, and innovative immersive technologies division, Technomedia Solutions, recently relaunched the new Permian Basin Petroleum Museum in Midland, Texas. Built in the 1980’s, the Permian Basin Petroleum Museum chronicled the history of the petroleum industry in the Permian Basin. After 30 years, and in the middle of an oil revival, the museum was in need of an overhaul that would reflect the changes in oil production in the 21st century. Brought in by Jack Rouse Associates, the GoConvergence and Technomedia teams consulted with the museum and leading petroleum experts to gain a better understanding of the many new technologies that are currently being used in the industry. 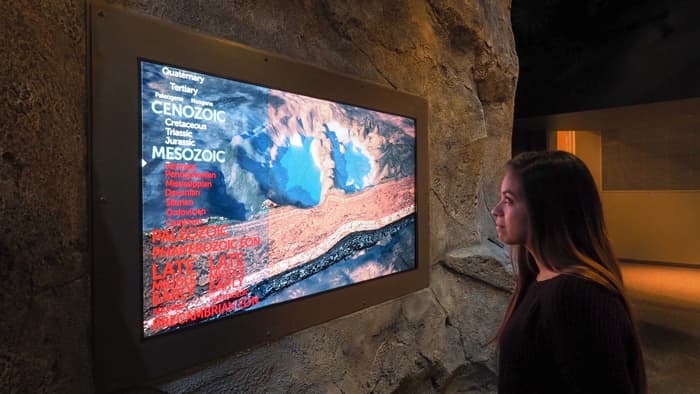 GoConvergence produced over 160 new videos for the new $18 million museum experience including multiple theatre films, interactive videos and biographies of people instrumental in the history of the Permian Basin. The production team filmed over 30 days of multi-camera time- lapse videos that captured the action of hydraulic fracturing and the drilling of new wells. The team also produced several animated films, including the depiction of how oil was formed, the journey natural gas takes to get from a well to a consumer’s home and how an oil well is managed over the course of its life. 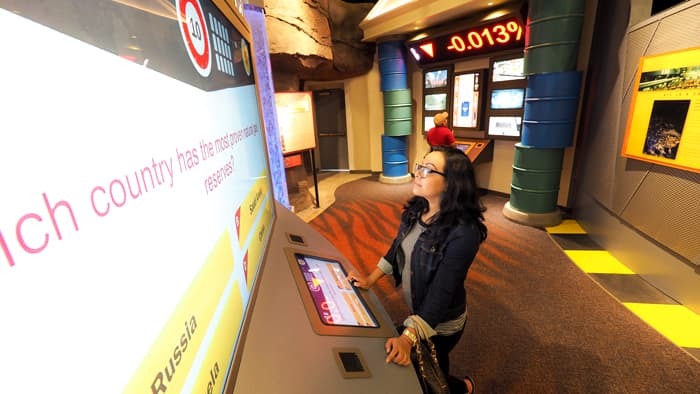 GoConvergence’s digital team created 19 educational interactive game-based learning experiences and quizzes for the museum that highlight the history of and current status of the petroleum industry. 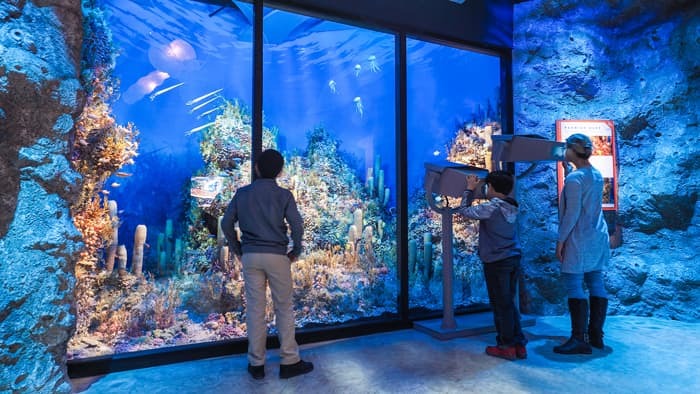 All of the interactive experiences are displayed on 44 touchscreen monitors that are data-driven and developed in a modular format, allowing for ongoing updates that will extend the longevity of the attraction. Entertaining video is integrated into each of the games and quizzes that are accessible through Technomedia’s multiple 22” touchscreens. Museum-goers can design a car, see a demonstration of how a perforating gun fractures the earth, and students can explore potential careers in the petroleum museum. 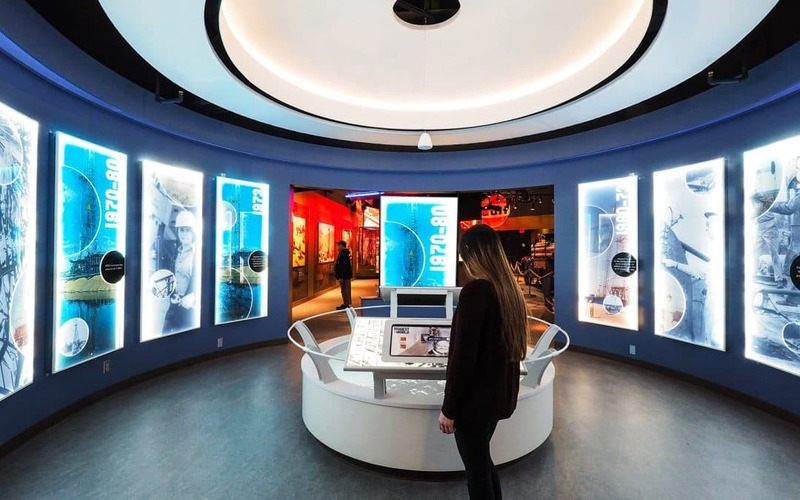 The centerpiece of the newly designed museum is the Petrotrekker, an interactive ride where guests experience the thrill of oil exploration aboard a spaceship that takes them around the world, and uses futuristic tools to find new regions rich in petroleum. The combination of creative and interactive media, along with cutting-edge technology, allows the experience to be brought to life as guests initiate the controls for their journey around the globe. The brand new Mythcrackers Theatre greets museum guests with one of two new movies produced in a game-show atmosphere, to capture the imagination of children and entertain adults as well. The Mythcrackers films help dispel myths surrounding the petroleum industry. 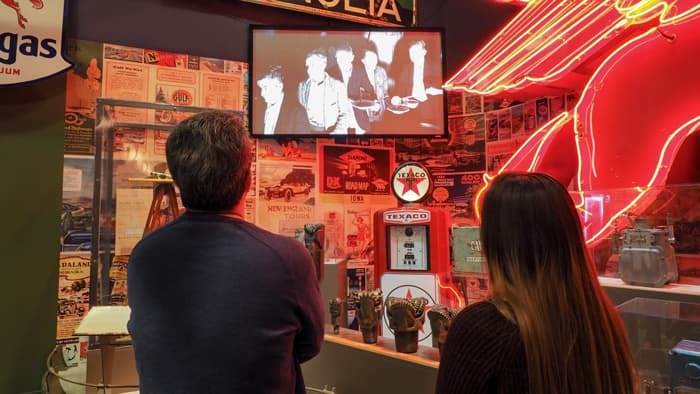 As a result of the new renovation, The Permian Basin Petroleum Museum is now a completely modernized and immersive museum that has far exceeded the vision of the museum’s director. Technomedia Solutions and GoConvergence are owned by Mood Media Corporation (TSE: MM), the global leader in elevating Customer Experiences. Technomedia Solutions is a leading provider of advanced audio-visual, creative design and technology services that develops and installs stunning visual and sophisticated audio content that creates an immersive and compelling consumer experience. Technomedia’s capabilities range from large-scale projection mapping to film production and sound design. For more information, please visit www.gotechnomedia.com. GoConvergence is a leading creative agency that provide clients with a one-stop shop approach to marketing with world-class services including strategy, design, HD video production, branded content, and multi-media experiences. The company maintains a multi-disciplined team of professionals including advertising, creative, digital technology and production. For more information, please visit www.thegoco.com or www.moodmedia.com.